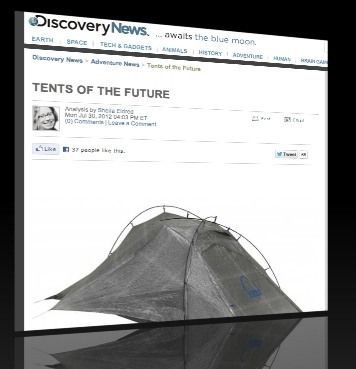 Discovery News posted an article this week about some of the tents that are appearing at the Outdoor Retailer trade show in Salt Lake City this week. Using materials such as carbon fiber, sailcloth, and kevlar the weights are under 2 pounds, however the price tags are over $1800 U.S. Nice to see exciting technology in outdoors gear (and how cool are magnets to keep the doors shut?! ).